1. 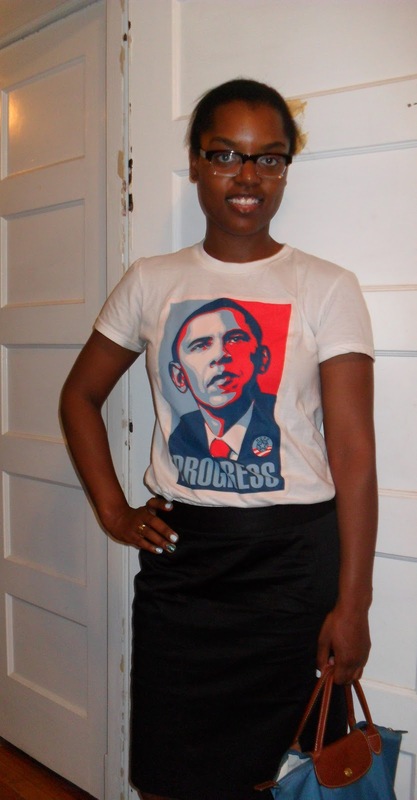 What is work appropriate to pair with this Obama shirt? 2. Do I support the President because he's is black (like me!) or because I respect the office of the Presidency? I decided that a black pencil skirt goes with everything and that growing up in DC...i mean really inside of the beltway...teaches you that officials are elected by the people to respresent them; if you don't like the job they are doing once they take office you have the right to replace them when their term has ended. What I won't do, no matter who is in office, is disrespect an elected official. Can someone help me down off of my soapbox? 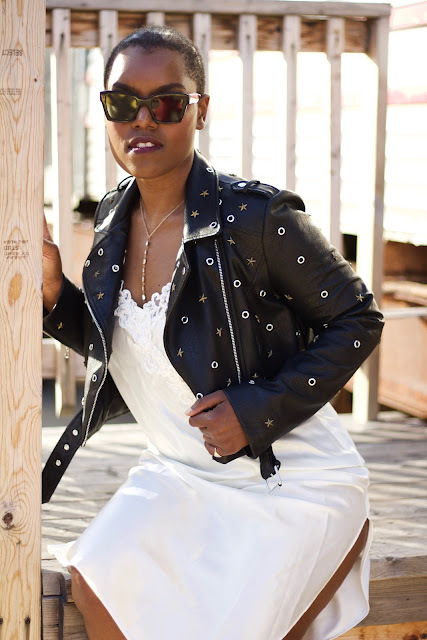 Remember in yesterday's post how I announced my signature style blogger pose? Here it is again! How are we feeling about my new Signet-ure move?